According to the Vedic Astrology, the transit of Mars is considered to be one of the remarkable astrological phenomena. 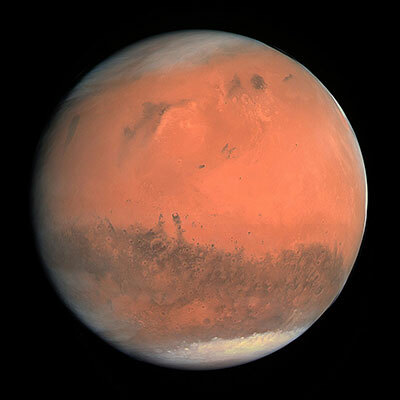 Mars is considered to be the Red Planet, and is exemplified for its vivid, vibrant and vehement nature. Being epitomized for courage, confidence, energy, anger and egoistic nature, the planet Mars impels a person with immense enthusiasm and zest to acquire the things which one wishes to have. However, if we ponder over its malefic effects, it can be envisaged that many blood related diseases become probable. Moreover, the planet Mars squanders the potential of an individual, thus enfeebling one’s self confidence. The red planet, Mars would be transiting in the sign Gemini on 27th of May 2017 at 01:53 AM, and would persist in this sign until 15:20 PM on 11th of July 2017. Post that, the planet Mars would move into the Cancer sign on 11th July, 2017. Let us now, cast a gleam of light on the thrust of this transit on various zodiac signs. The planet Mars is transiting in your third house. The transit would bring about an upswing in your courage and determination. During this transit period, you would easily take up the challenges and you would fulfill your undertakings with full spirit and enthusiasm. You would supercede your opponents and you would have them in the palm of your hand. Any legal case might fall in your favour and some issues might erupt with your siblings, especially with your brothers. In this transit period, short distance journeys are probable. Moreover, your parents might face some health issues. However, you would do pretty well at your workplace and the inflow of income would be an average one. Remedy: Apply Saffron Tilak on your forehead everyday. Considering the Taurus sign, Mars is transiting in your second house. During this transit period, accumulation of wealth is probable. You need to watch your mouth before speaking, as there would be a harshness in your speech and it might create some big issues. Some issues to the children is also presaged. There might be some health issues to your spouse, but you might procure some gains through your spouse. Also, there might be a surge in the inflow of income. Probability of gains from foreign countries is also foreseen. If you are married, then there might be some issues with your in-laws. If you are into any partnership business, then this time is favourable for you to reap gains through your partner. Remedy: Offer 4 bananas in a Copper vessel to Lord Hanuman at your nearest Temple. Contemplating the Gemini sign, it can be said that the planet Mars is transiting in the first house, and hence its effect would be more grave. With the onset of this transit, there would be an increase in your aggression and stubbornness. During this time period, you need to drive carefully. This transit might bring some bitterness in your marital life, so you need to avoid arguments with your partner. There might be a probable decline in the health of your mother. You need to get involved in other’s disputes. However, your focus would remain on the earnings, and some gains are likely. You might also gain through some disputes, but mental distress would be prevalent. Remedy: Chant any one of the mantras of Goddess Lakshmi daily. Noticing the impact of this transit in Cancer, it can be deduced that Mars is transiting in your 12th house. During this time period, you might face some health issues. If you look forward to go abroad for studies, then this transit period would prove to be a favourable one. Your expenses would increase excessively, and some issues with the siblings are probable. You would gain an upper hand over your opponents. Moreover, health of your spouse might decline. Moreover, your spouse may gain aggression and might try to dominate you. Also, you might face some blood related irregularities during this period. Apart from this, sleep loss is also probable. Remedy: Do meditation everyday and Chant any of the mantras of Lord Shiva. If we ponder over the out-turn of this transit in Leo, it can be said that Mars is transiting in your 11th house. This transit period would prove to be a positive period for your growth. An upswing in your gains is probable. During this time period, you would be able to fulfill your wishes and you would supercede your opponents. You would be successful in your undertakings. There might be some issues in your love life, so you need to avoid arguments with your partner otherwise situation would become adverse. Long journeys in this transit period would prove advantageous for you. On the whole, this transit period would be a progressive period for you. So, all you have to do is to channelise your energy and you would reap benefits from it. However, some issues to children are also presaged. Moreover, you might think of selling out your property and you would receive benefits through it. Remedy: Chant Mrityunjaya Mantra everyday. Determining the impact of this transit in Virgo, it can be said that Mars would be transiting into your 10th house. This transit would mark a rise in your career. You might experience a gain in powers and authorities. However, you might get indulged in any conspiracy. You need to control your aggression, as it would increase. Health issues to your mother is also probable. During this transit period, you might lack in domestic harmony. Hence, your domestic life would yearn for your time. But due to work you might not be able to give your time in domestic affairs. As a result of which, some tiffs are probable in your domestic life. Health of your children might also get affected, and your spouse might receive some benefits from your in-laws. Analysing the importance of this transit in Libra, it can be inferred that Mars is transiting in your 9th house. During this transit period, there might be an increase in the inflow of your income. Long journeys are probable. Moreover, there might be some issues with your father. However, you would gain respect in the society, and accordingly your name & fame would increase. In this transit period, your spouse would be supportive and gains from the latter is presaged. Your expenses might increase a bit and you might feel exuberant & determined. Also, your siblings might suffer and health of your mother might decline. You need to maintain a cordial relationship with your partner. Remedy:Donate Red Lentil Pulse on Tuesday to needier. Curious as to how 2017 would turn out to be according to Numerologyclick on the link. Assessing the impel of this transit in Scorpio, it can be said that Mars is transiting in your 8th house. During this transit period, your health might decline and probability of blood related irregularities or perineal diseases is presaged. You might experience some unexpected gains. On the contrary, you need to abstain yourself from illegal work as you might indulge into it. During this time, you would not be able to enjoy your meals. Some issues with your siblings is also probable. Your spouse might become dominating and might have an aggressive speech hence, you need to avoid arguments, so as to maintain an equilibrium in your marital life. You might plan to repay your loans or debts. You also need to drive carefully, and you should not indulge in any kind of dispute as it may stretch. Remedy: Do meditation everyday and worship Lord Shiva. Observing the importance of this transit in Sagittarius, it can be said that Mars is transiting in your 7th house. During this transit period, aggression would increase in yours and your spouse’s behaviour which would result in disputes in your marital relationship. As far as your work is concerned, you would perform well and an elevation in your professional status is probable. Mental stress would increase in this time period. You might plan to get settled in abroad or you might visit there. This transit would bring about an increase in your income and you would be enjoying a good financial condition. Remedy: Offer water to God Sun everyday. Evaluating the effect of this transit in Capricorn, it can be said that Mars is transiting in your 6th house. You might get success in litigation or in any legal action. However, you would win legal cases or any disputes, but probability of getting involved in such activities is there during this time period. Also, aggression would increase in your behaviour. Your expenses might increase and you would put your best efforts, as far as your work is concerned. Moreover, your father might face some challenges at his workplace. Health of your spouse might get affected. If your father and your spouse are working, then they might get a transfer or they might go abroad. You need to drive carefully in this transit period. Moreover, children might receive some gains but they might become rigid and stubborn. This transit period would bring about a hike in your career and you might initiate a long journey. Remedy: Worship Lord Ganesha and offer Modak and Durva to appease him. Exploring the impact of this transit in Aquarius, it can be said that Mars is transiting in your 5th house. During this time period, there might be tensions and tiffs in your love affairs. You might think of changing your job. Also, your income and expenses would increase. Your health might get affected and your spouse might receive gains or achievements. You would enjoy your time with your friends and also the health of children might get affected. So, you need not to force them to do anything, rather you need to take care of them with love. This time period would be favourable for siblings. You might meet a new person and a new relationship might begin, however, few quarrels are probable in the starting. Remedy: Donate Jaggery and Red Lentil Pulse on Tuesday. Marking the importance of this transit in Pisces, it can be said that Mars is transiting in your 4th house. During this transit period, health of your mother might get affected and you might have some tiffs with her. So, you need to take proper care of her. There would be a lack of satisfaction in your domestic life. Issues in marital life is probable and your behaviour might become a reason for the same. Your spouse might gain authority or position at the workplace. You would perform well at your workplace and gain is presaged. You might acquire any property or vehicle in this period of time. Also, you might stay away from home for some reasons. Remedy: Worship Lord Hanuman Everyday. We at AstroSage, hope to have aided you to reveal the significance of this transit and how it would pan out for you. We wish the best for you during this transit period!